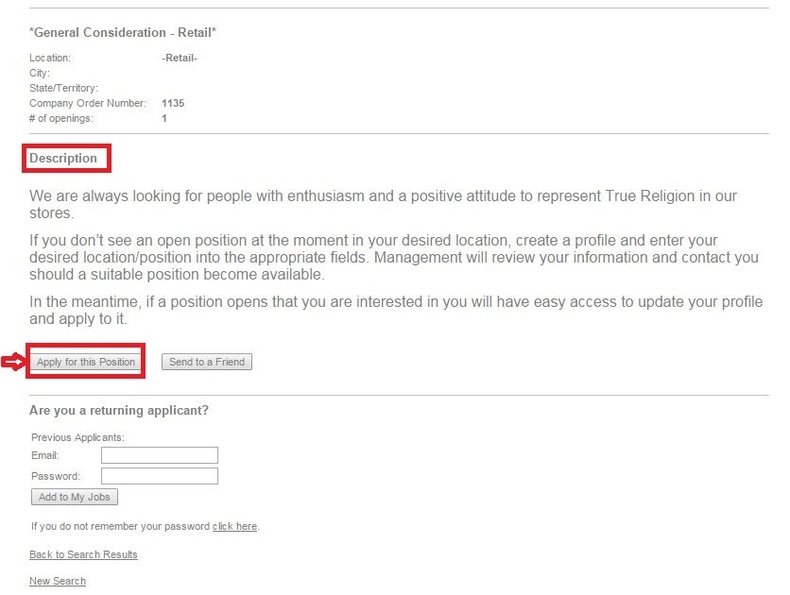 Go to truereligion.com/careers or truereligion/careers and land on True Religion careers page where you can click "FIND OPEN POSITIONS" to move to the next step. If you are a returning applicant, you can input your email address and password to log in. If you are a new applicant, you can search for jobs by city, state / territory, zip code, radius or location. 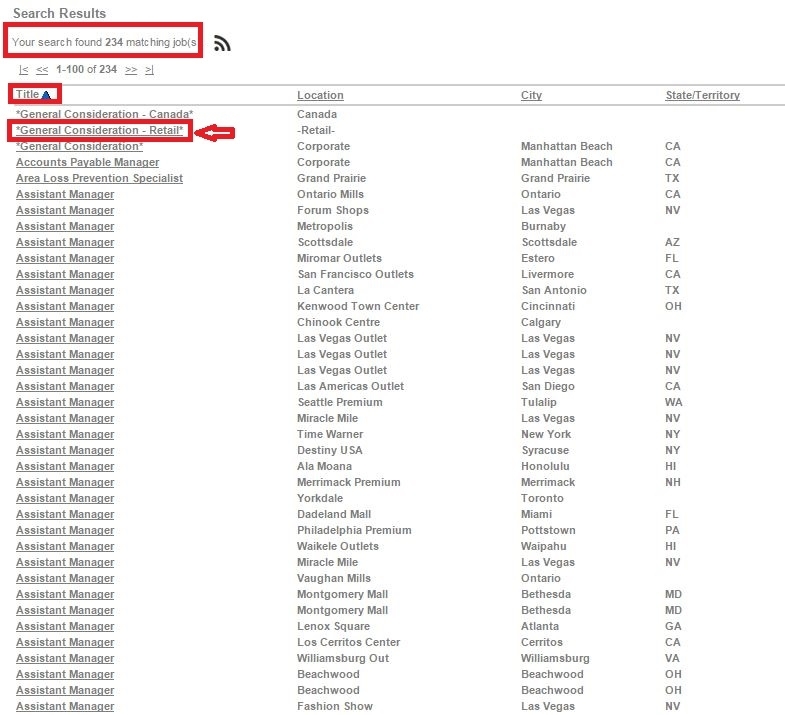 To see all openings sorted by location select “Any”. Each job description includes a link for applying and submitting your resume to True Religion online. This is the fastest and most reliable way to be considered for any of their positions. Afterwards, choose from one of the links listed on the page to submit your resume for general consideration. After the previous step of using the searching criteria to search job titles, you are automatically directed to the page below on which the current job opportunities matching your keywords input are listed. You may choose one fits you and click the job title. After you choosing the job title in the previous step, you're led to the page below requiring you to read the job description and then click "Apply for this Position". In this step, you're required to complete the employment application form by uploading your resume or using your LinkedIn profile, finishing the email registration, filling out personal info, selecting the source where you hear about True Religion, completing the additional info, indicating your availability, filling out your employment history form, indicating your language skill, attaching your resume, reading and agreeing to the Acknowledgement and finishing the Voluntary Equal Opportunity Questionnaire. Fields marked with a red asterisk * are required. 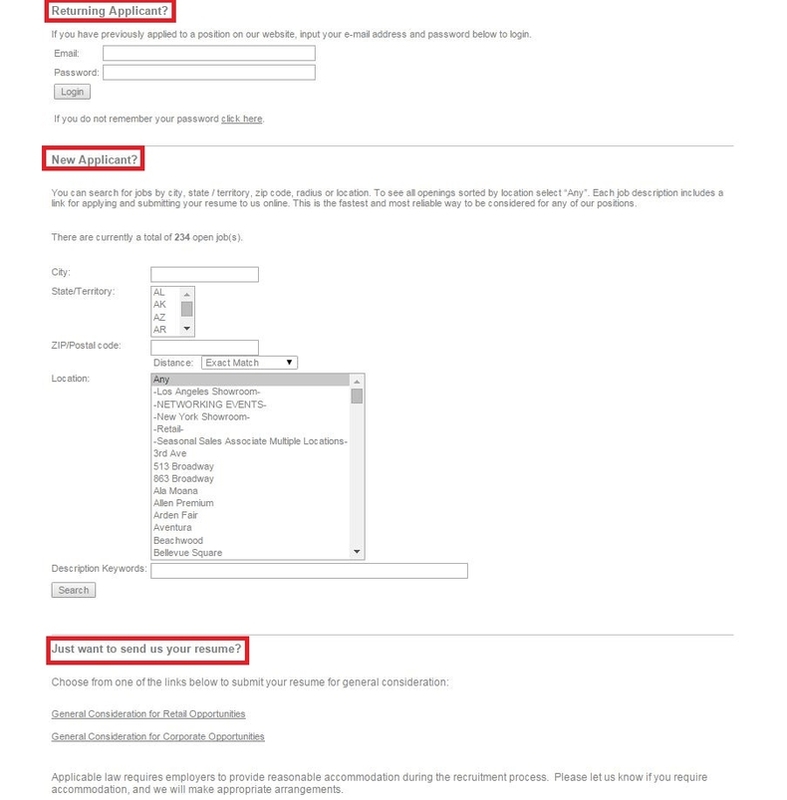 When you have finished all the required fields, just click Submit at the bottom of the page. After filling out all the info required in the last step, you're directed to the page which will show thank you notes meaning that you've finished the whole application process. The team will review your qualifications and contact you if there is a match with any of their current or future open positions. Please record your password for your records. Using this password along with your email address, you can log in to the "Previous Applicants" section of our careers site anytime to update your contact information and resume, and apply to new openings. 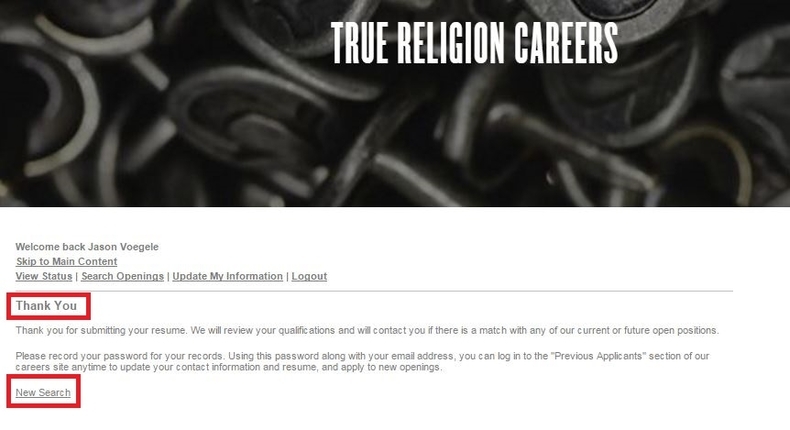 Click truereligion.com/careers to apply for True Religion jobs online.